Mosquito Control Mableton, GA | Bug-Off Exterminators, Inc. Eliminating mosquito infestations can take time and requires treating all life cycle stages of the mosquito. From egg to larva to pupa to adult, exterminating each stage will provide lasting relief from mosquitoes. A pesticide misting spray, applied all around your yard's bushes, tall grass, tree limbs, wooded areas, and shady spots near structures provides an immediate knockdown of adult mosquitoes and has a residual that remains effective for a few weeks. Larva-killing IGR's (insect growth regulator) work extremely well in areas full of larvae to destroy them just before they reach maturity. The mosquito traps work as breeding spots to exterminate eggs and larvae. Regulatory steps like trimming your weeds to clear out mosquito hiding spots and draining any pooled water to eliminate breeding environments are integral as well. 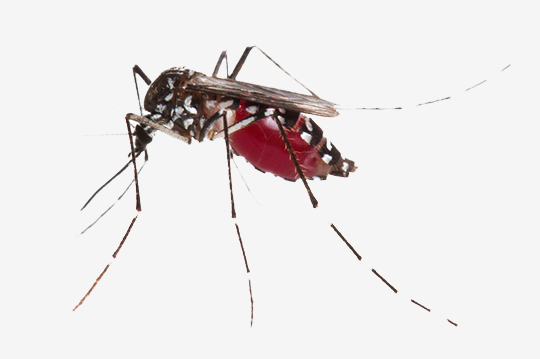 Our mosquito control specialists have expertise in performing regular mosquito treatments. With years of experience servicing various homes and commercial buildings in Mableton, Georgia, they possess the skills needed to exterminate the mosquito population surrounding your property. We are here to help you develop a mosquito treatment plan that will give you back the pleasure of relaxing in your own back or front yard. During the summertime, you can make the most of the long, sunny days by participating in all sorts of fun outdoor pastimes, like backpacking, walking, and having barbecues. Outdoor cookouts are wonderful ways for you to savor the summer nights and unwind with your buddies or loved ones, but they are frequently spoiled by the arrival of uninvited guests: Mosquitoes. Mosquitoes thrive in summer's hot temperatures and are especially attracted to spots with stagnant water. If uncontrolled, they may rapidly multiply and ruin any kind of outdoor affair. To take back authority of your lawn, setting up a mosquito control program may be the best approach. Give us a call and get in touch with a skilled mosquito control professional. A typical service includes one of our specialists assessing your property to route out the places where mosquitoes breed. Mosquito treatment plans are useful for reducing existing infestations and exterminating eggs and larvae for long-term property protection. Part of this strategy includes removing things that hold water, like boxes or buckets, in order to get rid of eggs and prevent them from hatching. Water fountains and other spots that might collect water also need to be examined and washed out. They may also advise you on ways to prevent larvae from reaching adulthood. 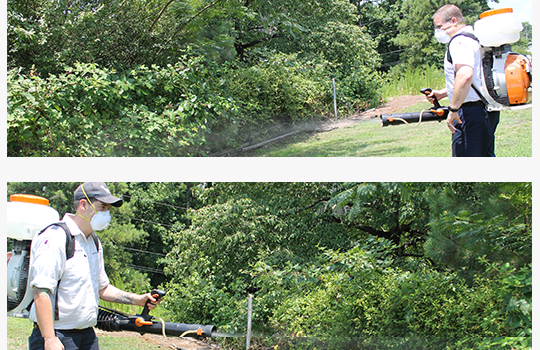 Next, your specialist will spray pesticide in locations where mosquitoes congregate. The pesticide is not harmful to plant life. The specialist will walk around your property while spraying spots with high grass and shrubs to complete the procedure. Ideally, you should schedule this treatment to be conducted each month, as the pesticide loses its potency in the heavy rain weather. Installing mosquito traps can help reduce the next swarm of mosquitoes by exterminating the eggs and larvae before they become adults. The traps also continue to be effective in the rain and spread the IGR to other standing water spots. Don't let mosquitoes crash your summer party - contact us the second you start feeling the familiar bites of these obnoxious bugs. Our professional technicians have all the training necessary to exterminate your mosquito problem. Call us to ensure you enjoy a full summer of outdoor fun.